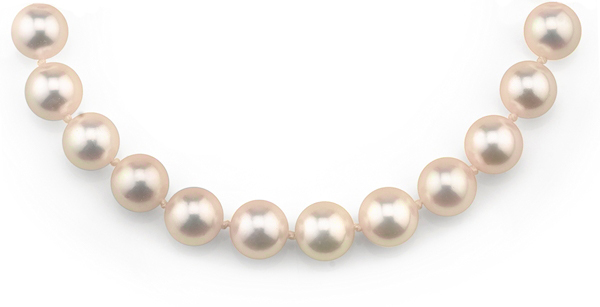 Hanadama, meaning "Flower Pearl," represents the highest quality available in Japanese Akoya Pearls, certified by the Japan Pearl Science Laboratory. Also called The Ferraris of the pearl world, Hanadama pearls are extremely fine gems certified by the Pearl Science Laboratory (PSL) of Japan. They are world-renowned because of their outstanding luster and orient. Hanadama pearls were named by Kokichi Mikimoto, also known as the Father of Cultured Pearls. He only used the term to describe the finest of the gems. The word “Hanadama” means spherical flower in Japanese. 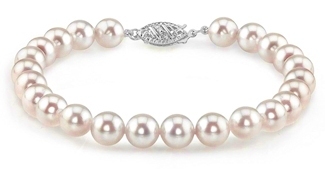 Many pearl experts often refer to them as Flower Pearls. 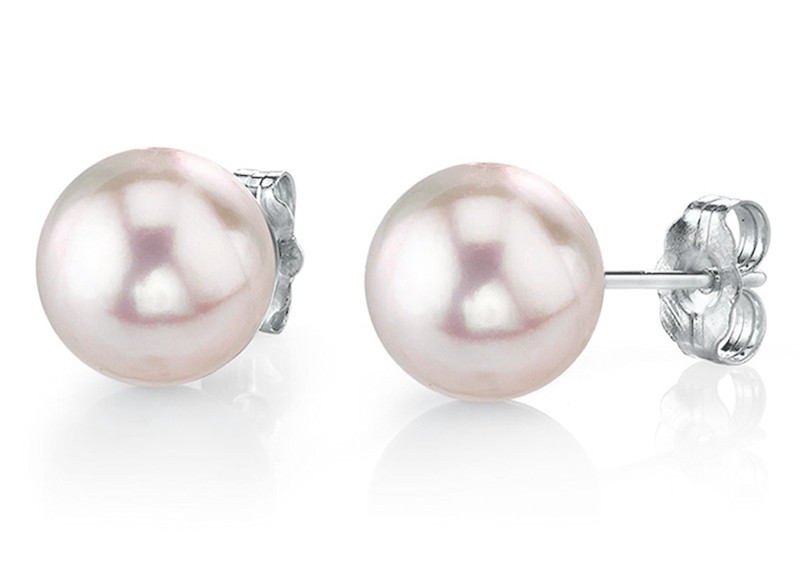 Cultured Hanadama pearls feature the highest luster of all cultured pearls on the market. They are so bright in luster, you’ll draw attention from the other side of a crowded room. Reflections of light bounce off the surface with very crisp, sharpness. Being almost flawless, these gems have almost no blurring, staining or other blemishes around the edges. Take a step back and enjoy your awesome reflection smiling at you from the amazing lustrous gemstones. The Orient of cultured Hanadama pearls is described to be a shimmering soap bubble effect. Their nacre is very thick, making these gems iridescent, resilient and strong. So, if you’re looking for gemstones that will last a lifetime, these are the winners. And, because they come with certificates of authenticity from PSL, they make the perfect family heirloom to pass down from generation to generation. A Hanadama pearl designation is much more than just a simple pearl grade. Instead, it’s more of a class of pearls guaranteed to be real, lustrous, almost flawless and very valuable. 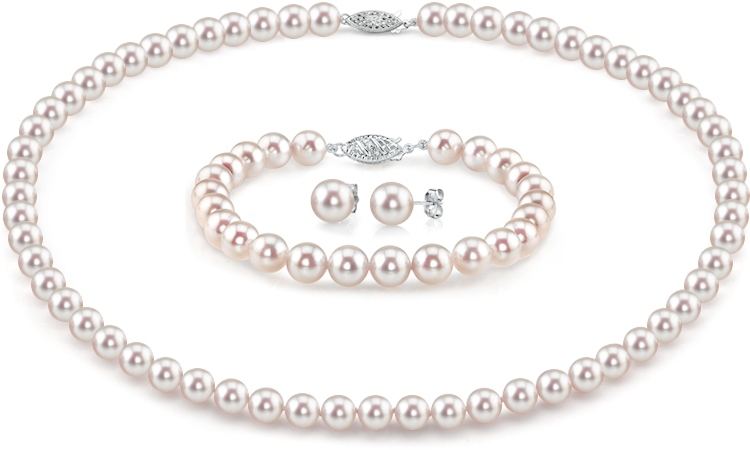 Owning jewelry made with the Flower Pearls means owning some of the finest quality pearl jewelry money can buy. And, the Japan Pearl Science Laboratory certifies the gemstones to prove it. Visit our online pearls jewelry store to shop for top quality cultured Hanadama pearls today!